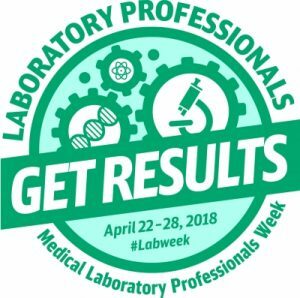 Global Service Resources celebrates the contributions made by Medical Laboratory Professionals in the advancement of medicine and the treatment of all patients worldwide. Medical Lab Professionals are often the unsung heroes of the hospitals – rarely do you come in contact with them as opposed to doctors, nurses, and various technicians. However, Medical Lab Professionals perform some of the most crucial work in the diagnosing of diseases through their analyzing of samples and reports generated from data they gather. Furthermore, the safe handling and disposal of samples as well as the cleaning and maintenance of laboratory equipment are managed by various Medical Laboratory Professionals. It is hard to imagine modern medicine without the contributions of these skilled workers. Medical Laboratory Professionals are broken down by duty, rank, and specialization of function typically on how they handle or prepare samples. We’ll cover a few of the more fundamental roles in this section to give you an idea of just how vast this field is. Did you know that Pathologists are considered Medical Laboratory Professionals? Pathologists are medical doctors who diagnose and characterize disease by examining a patient’s tissues, blood, and other body fluids. They are specially trained to interpret biopsy results, Pap tests, and other biological samples. Sometimes called a ‘doctor’s doctor’, pathologists work with primary care physicians as well as specialists, and use laboratory testing to identify or rule out diseases and conditions. A laboratory may employ one or more pathologists depending on the requirements of the lab. Anatomic pathology is the examination of the physical appearance and microscopic structure of tissues. Anatomic pathologists look at biopsies and organs removed at surgery (surgical pathology) as well as cells that are collected from brushings or body fluids (cytopathology). They also perform autopsies to investigate the cause of death (autopsy/forensic pathology).Some pathologists sub-specialize based on organ systems: neuropathologists (nerves/brain), renal pathologists (kidney), hematopathologists (blood and bone marrow), and dermatopathologists (skin). Clinical pathology deals with the measurement of chemical constituents of blood and other body fluids (clinical chemistry), analysis of blood cells (hematology), identification of microbes (microbiology/parasitology/mycology), and the collection, preparation and use of blood for transfusion (transfusion medicine). Clinical pathologists direct the laboratories that perform these tests and provide consultation to other doctors on the significance of test results. 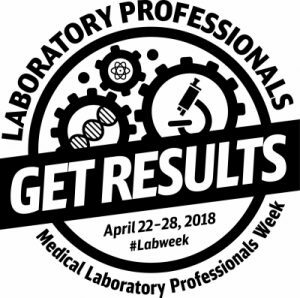 These laboratory professionals are responsible for performing routine as well as highly specialized tests to diagnose and/or aid in the treatment of disease, troubleshooting (preventing and solving problems with results, specimens, or instruments), and communicating test results to the pathologist or treating health practitioner. They may examine blood or body fluid specimens under the microscope for bacteria, parasites, fungus, or cells that might indicate cancer or other diseases. They perform quality control checks, evaluate new instruments, and implement new test procedures. Scientists/Technologists also may assume managerial roles, including supervising laboratory personnel as the general and/or technical supervisor. Many Scientists/Technologists specialize in one particular area, such as in hematology, clinical chemistry, immunology, molecular pathology, cytogenetics, microbiology, or transfusion medicine. Scientists/Technologists have a bachelor’s degree in clinical/medical laboratory science or the life sciences that included three or four years of academic course work and one year of clinical experience. Most labs require that they be certified to demonstrate their competence to conduct their job functions. Scientists/Technologists are certified by organizations such as the American Medical Technologists (AMT), the American Society for Clinical Pathology (ASCP) Board of Certification (BOC), or the National Registry of Microbiologists (NRM). Some states require Scientists/Technologists to obtain a license from the Department of Health or the Board of Education. Looking for work as a Medical Laboratory Professional? If you’re looking for help in finding employment as a Medical Laboratory Professional please contact us today! Give us a call toll free at (800)779-GLOBAL. Take a look at our current job postings and apply today! We make a great team! Let us get you to work!